The AJ-100CE features a select spruce top. Spruce is a rich and complex tonewood that begins to breath and improve with age and with lots of playing time. So play the AJ-100CE a lot! 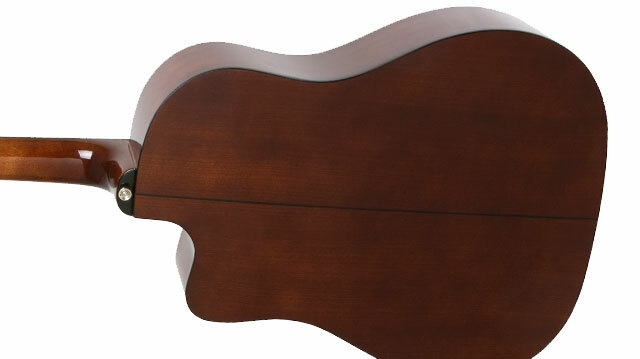 The body is made from select mahogany and the bridge is glued at the precise point for stable tone and intonation. 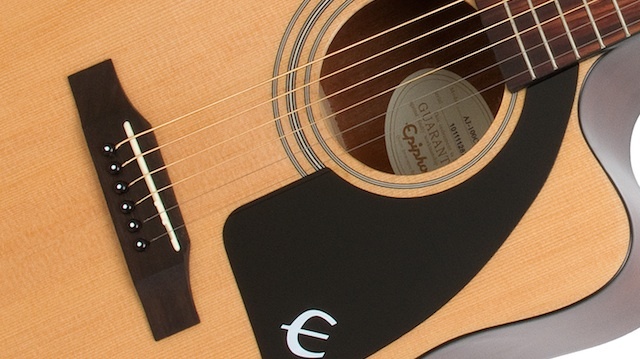 The classic style pickguard features the iconic Epiphone "E" and is set off by simple but elegant black binding. 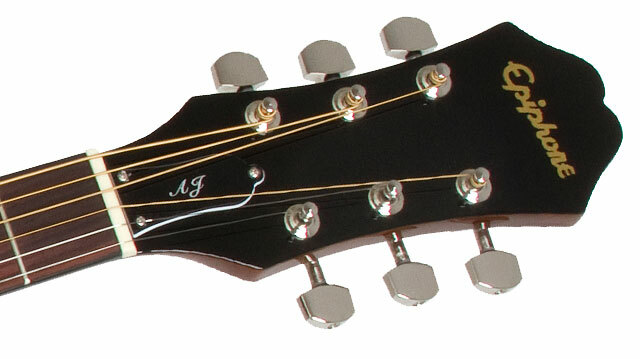 The AJ-100CE is available in three color finishes; ebony (EB), Natural (NA), and Vintage Sunburst (VS). Under the AJ100CE’s compensated saddle is Shadow’s proprietary NanoFlex™, low-impedance pickup. Unlike a piezo, this unique flexible sensing material features integrated active electronics that not only pick up string vibrations, but also top and body vibrations as well for a truly acoustic tone without the harshness of piezos. The AJ-100CE Mahogany neck has a 25.5" scale and features a SlimTaper™ shape and dot inlays. Our iconic Epiphone Sloped Dovewing headstock completes the look with premium machine heads.